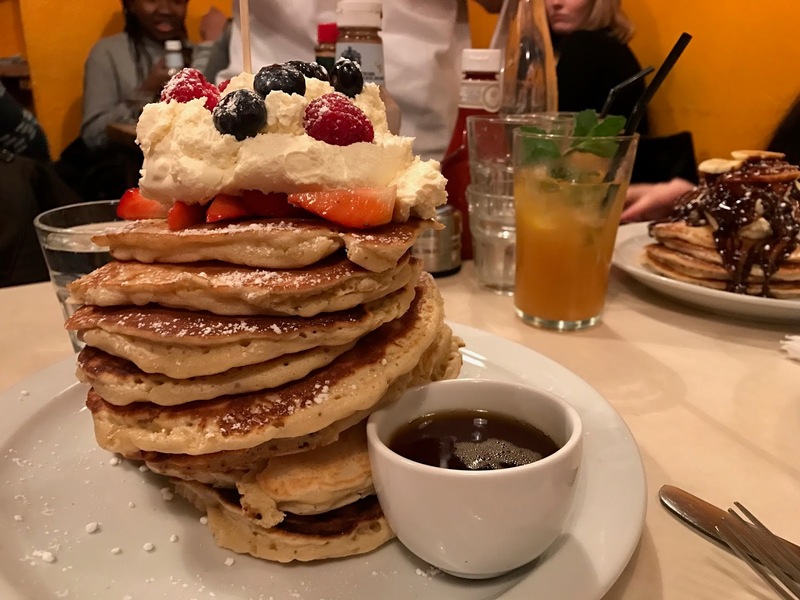 Pancake day is here again, and we couldn’t think of a better time (excuse) for I, James to do my first food challenge! We rocked up straight after work, not thinking about the popularity of this place, especially on this day of the year. We queued for an hour and a half, but after psyching myself up all day for this, I wasn’t just going to walk away. Jessica and Charlyn ending up opting for the pancake day special of salted caramel banoffee. The challenge was 12 pancakes, in 12 minutes. Every single part including the toppings must be eaten. And to my surprise, at the last second, with only the tiniest glass of water to last me the duration. Finish, and it’s free, don’t finish, and it’s £20. All the profits made would go to Create, a charity which uses the power of Creative Arts to transform the lives of young carers. In walked the two waiters, one with the pancakes, and one with a whistle, a stopwatch and a phone to take my photo. Surrounding tables looked on with rallying looks of encouragement and endearment, but I couldn’t let the fame get to my head. It was down to business. I made a strong start, on track with pancake a minute, but only for about the first 4 minutes. Maybe I got a bit too confident and subconsciously slowed down, but not long after, I realised this was going to be a lot harder than it first looked. The maple syrup and cream wasn’t enough to stop it being too dry, without the water which would’ve made things so much easier. I lost momentum and was quickly down to a pancake every two minutes, and in the end, miserably failed with only 7 out of 12 pancakes eaten. Wow those pancakes look delish! Don't think I could of beaten the challage either! These pancakes look delish! 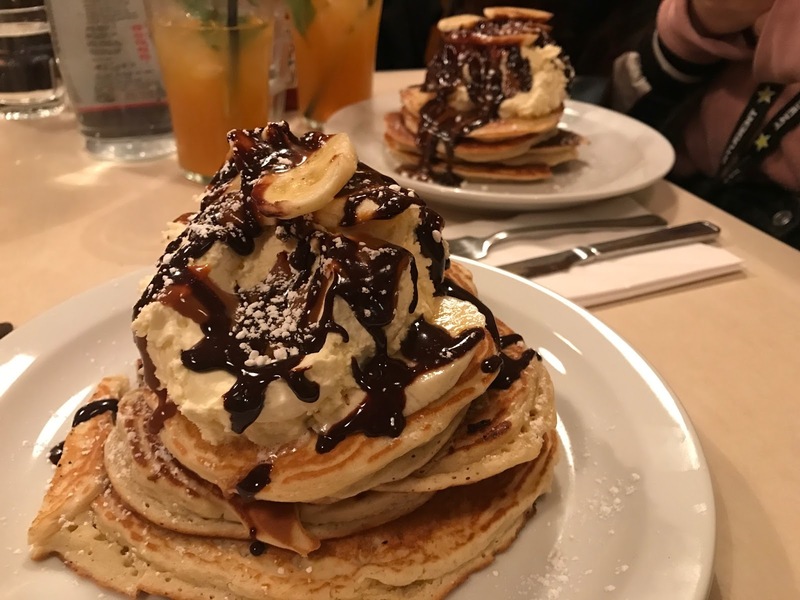 I had pancakes for lunch today but this post is making me want more! I don't think I'd be able to eat 12 in 12 minutes though! Those pancakes look delicious!I think seven is a good effort, I'd probably manage about that many too. Did you get to eat them all in the end after the challenge?